(Photo courtesy of Sudipta Maity) Maya Jammulapati performs at the Nitya Nritya Foundation's 2018 Festival of Indian Classical Dance and Music on the weekend of Sept. 8. The foundation is one of 20 new organizations that received $1,000 from the county's Zoo, Arts and Parks Program this year. The number of small arts and cultural organizations in Salt Lake County is booming — and it may have consequences for the way taxpayer funds are distributed in the future. The Zoo, Arts and Parks (ZAP) program will fund more groups than ever this year with $2.2 million split among 183 organizations. But since the county had less than the approximately $3.4 million applicants requested this year, almost every group got less than it asked for, according to program director Kirsten Darrington. And she expects competition for these grants for smaller groups, called Tier II awards, will only become tougher in coming years, which could result in a slight decrease in awards per organization. Tier II organizations that received funding include orchestras, dance and theater companies, botanical gardens and arts and ethnic festivals. Financial awards range from $1,000 to organizations like the Nitya Nritya Foundation, an Indian classical dance and music nonprofit, to $100,000 for the Sundance Institute, which supports independent film and theater. No date has yet been set for County Council approval for the larger Tier I arts programs, like Ballet West and the combined Utah Symphony | Utah Opera, according to council staff. The county can only fund 22 of those bigger arts and cultural organizations. Darrington said the growing applicant pool for Tier II, up from 156 in 2016 and 171 last year, is a “really good problem to have.” It reflects the increased sophistication of small arts programs and demand for cultural programming across the county, she said. The Salt Lake County Council unanimously approved the funding levels that were presented by the nine-member Tier II advisory board, which spent more than 400 hours reviewing and scoring the applicants based on criteria such as artistic vibrancy, benefit to the public and organizational management. “It is actually a fairly big commitment of time, but I also was really intrigued and excited by the offerings and the quality of many of the offerings,” said Alta Mayor Harris Sondak, who serves on the advisory board. County Council Chairwoman Aimee Winder Newton praised the efforts of the volunteer committee and the increased interest in the program among arts and cultural groups in the county. Since 1997, ZAP has added a penny tax to every $10 purchase in the county to provide funding for zoological, cultural, botanical, recreational and artistic programs. Voters again passed ZAP with a wide margin in 2014, and they’ll have their next chance to weigh in on the program in 2024. Larger and more established organizations tend to receive the largest dollar amounts under the program. But even smaller funding amounts can go a long way for new, up-and-coming organizations like the Nitya Nritya Foundation. It’s one of the 20 new organizations that received ZAP funding this year. Foundation President Jyothsna Sainath said the county’s $1,000 award makes up about 10 percent of the foundation’s overall budget. 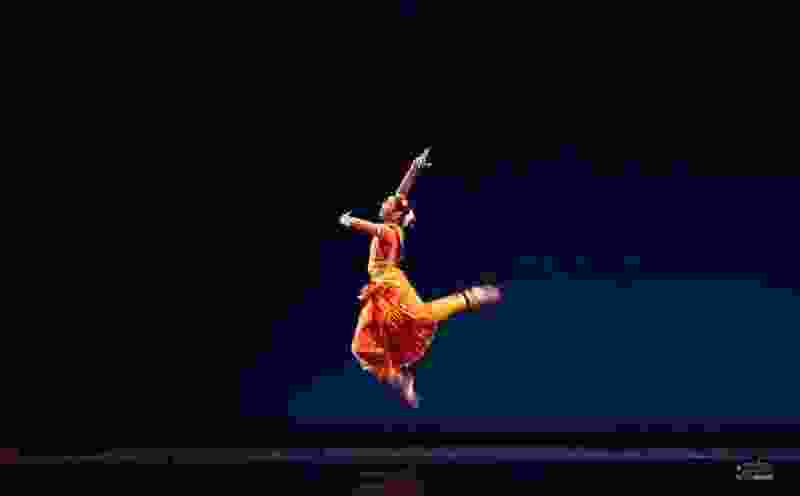 This year, that money will help pay for the “top of the line” performers the foundation brought to its 2018 Festival of Indian Classical Dance and Music on the weekend of Sept. 8. The ZAP advisory board offered funding to most of its applicants this year, but two organizations failed to make the cut: The Leonardo and the Institute of Classical Architecture. The Leonardo did not submit a certified financial review or audit with its application. The higher the award an organization seeks, the more detailed financial documentation ZAP requires, Darrington said. The advisory board declined to fund the Institute of Classical Architecture because the project identified in its application didn’t include a component open to the public, as is required to receive ZAP money.